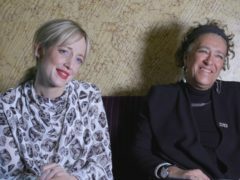 Made In Dagenham actress Andrea Riseborough has said funding problems are part of the reason there are so few women directors as she called on British film-makers to support the 4% challenge. Made In Dagenham actress Andrea Riseborough has called on British film-makers to support the 4% Challenge, an initiative urging members of the industry to commit to working with a female director within the next 18 months. 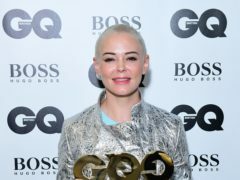 Rose McGowan has said society has experienced “real change” in the wake of the #MeToo movement. 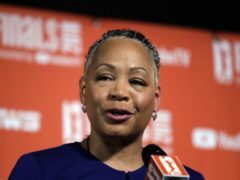 Time’s Up president Lisa Borders stepped down after allegations of sexual assault were made against her son, the group has announced. Time’s Up president Lisa Borders has stepped down from her role to “address family concerns”. 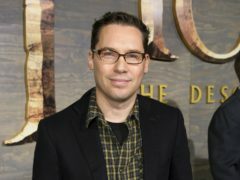 Bohemian Rhapsody has been removed as a nominee at a leading LGBT awards ceremony amid allegations of sexual assault against director Bryan Singer. The Time’s Up movement for gender equality cannot just be a phase, the actress Anya Taylor-Joy has said. 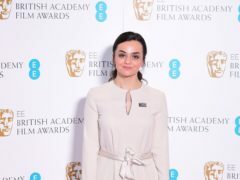 I, Daniel Blake star Hayley Squires claims the Me Too movement and Time’s Up “ripped open” the film industry with revelations of abuse. The second stage of the Time’s Up movement made its mark at the Golden Globes, with powerful speeches from winners Sandra Oh, Regina King and Glenn Close. 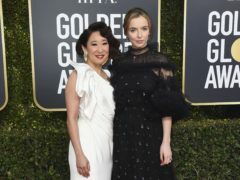 Killing Eve stars Sandra Oh and Jodie Comer are among the stars who have arrived for the Golden Globe awards. 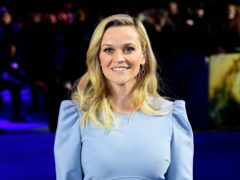 Reese Witherspoon urged people to “continue to celebrate risk takers” as she remembered last year’s Time’s Up movement on the Golden Globes red carpet. Emma Watson called for “solidarity across professions and across borders” as she reflected on a year of the Time’s Up movement. The entertainment industry is still dealing with the aftershocks caused by the earthquake of the #MeToo movement. 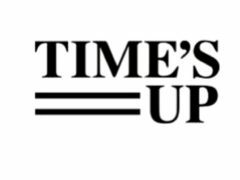 Reese Witherspoon, Brie Larson and Ed Sheeran are among the stars backing an eBay and Time’s Up initiative to mark the movement’s upcoming first anniversary. Jessica Simpson has said she is “disappointed” in Natalie Portman after the Black Swan actress said she had been “confused” by Simpson’s sexuality as a child. 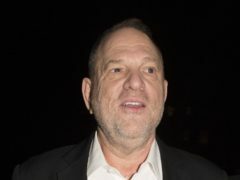 The fund set up as a result of the Time’s Up and #MeToo movements has awarded more than one million pounds to help women who have experienced sexual harassment and abuse, it has announced. 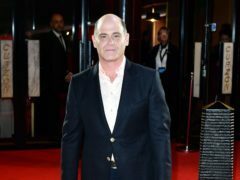 Mad Men creator Matthew Weiner has said he is proud to have made a show that addressed sexual abuse and workplace harassment before the Me Too and Time’s Up movements. Jane Fonda has shared her joy at the Time’s Up movement against sexual harassment, admitting that she did not think it would happen in her lifetime. Claire Foy, Hayley Atwell and Jodie Whittaker are among the stars who will represent the Time’s Up movement at the Bafta television awards. Sandra Bullock has said she was sexually harassed as a teenager. 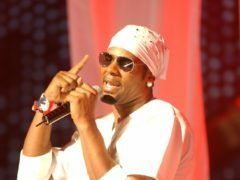 The Time’s Up campaign is taking aim at US singer R Kelly over allegations he sexually abused women. Naomi Campbell has backed anti-sexual harassment movement Time’s Up as she announced the return of her charity fashion gala Fashion For Relief. 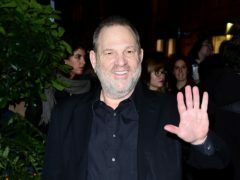 Time’s Up has celebrated the decision to investigate the prosecutors who decided not to bring a sexual assault case against Harvey Weinstein. 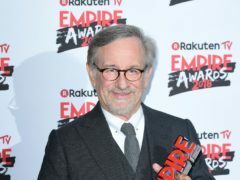 Director Steven Spielberg has hailed the “watershed moment” for attitudes in the entertainment industry spurred on by the Time’s Up movement. 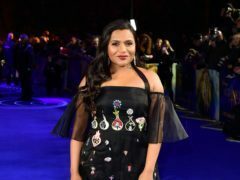 Mindy Kaling has praised Reese Witherspoon and Oprah Winfrey for speaking out about equality, and for the impact it will have on her daughter’s life. The Good Karma Hospital star Amanda Redman has said she feels empowered by the Time’s Up movement. Emma Watson has poked fun at herself over the grammatically incorrect fake tattoo she showed off at a post-Oscars party. Stars wore bold shades of red, jewel tones and blush colours as they arrived on the red carpet at the Academy Awards. Susan Sarandon has said she was told early on in her acting career that she would not work beyond 40. The stars carried white roses at the Brit Awards in support of victims of sexual harassment and assault, while female celebrities hailed the power of women. Celebrities from across the pond have hailed the spread of the Time’s Up movement as stars in London wore black to the Baftas in solidarity with the campaign against sexual harassment and inequality. Dame Helen Mirren has said the Time’s Up movement for gender equality feels like “a revolution”.